How will I be able to get a quotation? 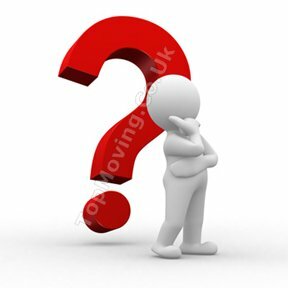 How can I pay for removals service? We offer two payments methods: cash or cheque. You can always pay after the removal service. For big move (3 bedroom house or larger) home consultation is necessary in order for us to assess and estimate everything that needs to be packed and move during the removals date. How would I know that this company can be trusted? Top Moving has been working in the removals business for many years already. We are known for our quality service and good customer relationships. Many customers can already attest how precise and professional the company is in doing this kind of transactions. You can read our testimonials here. We are fully insured and licensed which indicates that we are recognized locally and nationally doing quality removals services in London. We are professional removal company with license, so we passed the standards of movers doing quality service. What comes next after getting a quotation? We will give you a brief report to discuss arrangements on the move and we will also inform you on the home inspection (when necessary) to be made by one of our friendly men. Are the information relayed to the company secured? Yes, the company assures you that the information will be kept will confidentiality. It will not be shared to any person. Do you provide removal boxes and other materials for packing? Yes, we provide different sizes of boxes, bubble wrap, tapes and more. You can check all our packing materials assortment here. Are you offere large items removal service? Yes we offer moving special items. More about services that are being offered by the us you can check here. How long will it take to complete removal service? All removal services are different, so it’s really depends. We cover entire London areas within the M25! Most projects are carried out/ in Movers South East London, House & Office Removals West Central London, Movers North West London, Furniture Removalist South London, Removals Companies South West London, Movers , House Removals Greater London.